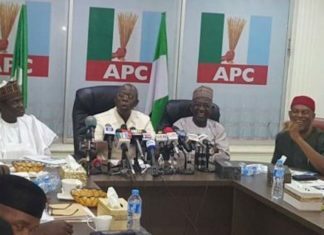 The National Working Committee of the All Progressives Congress (APC) has dissolved the party’s executives at all levels in Imo and Ogun States, following the outcome of the party’s primary elections, which led the governors of the two states to resolve to work against the party in the 2019 governorship elections. The decision to sack the party officials in Ogun and Imo States led by Chief Derin Adebiyi and Mr. Daniel Nwafor, respectively, was taken at the meeting of the NWC held Tuesday evening in Abuja. 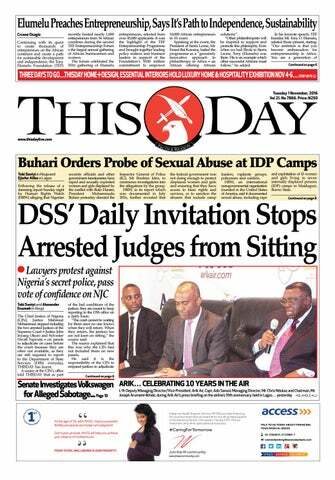 THISDAY gathered that the decision will be officially communicated to the affected states’ chapters of the party today. 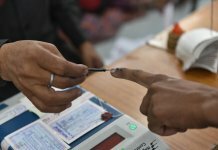 The two states were among the ones where APC is currently faced with the most protracted post-primary election crisis that has left the party factionalised. Governor of Imo State, Rochas Okorocha and his Ogun counterpart, Senator Ibikunle Amosun, had clashed with the national leadership of the APC led by Adams Oshiomhole over the conduct of the governorship primaries in the two states. 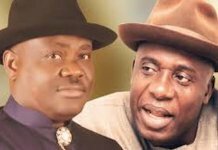 Both governors became estranged to the leadership of the APC following the decision of the party not to support the emergence of their anointed candidates as the party’s standard bearers. As a result, the two governors allegedly encouraged their anointed candidates to dump APC and use other platforms to contest the 2019 elections. 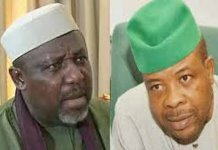 For instance, in Imo State, Okorocha’s former Chief of Staff and son-in-law, Uche Nwosu had since dumped APC and joined the Action Alliance along with other loyalists of the governor. Also, Amosun’s preferred candidate, Abiodun Akinlade had also left APC along with Amosun’s supporters to join the Allied People’s Movement (APM).